Houston Forklift Certification, Get Forklift Certified Today! Houston is the largest city in Texas and one of the largest in the country. The Houston metro area is also home to some of the biggest refineries in the world. Offshore drilling work is challenging, but plentiful in the Gulf of Mexico. Those who aren’t ready or particularly inclined to be sea bound but are willing to be a part of a labor force on land, warehouse and manufacturing jobs might be a great option. Houston is one of the best cities to work as a forklift driver. The city’s strong economy, relatively low state taxes, and pro-business climate make Houston an ideal place to grow your career. But remember, only the most qualified operators get the best jobs. CertifyMe.net has the forklift certification for Houston you need to elevate your job profile. Wondering where to get a Houston forklift certification? CertifyMe.net has everything you need. Houston-based businesses are hiring right now! The city is quite the metropolis, and visitors are amazed at how huge it is and how many suburbs feed it. 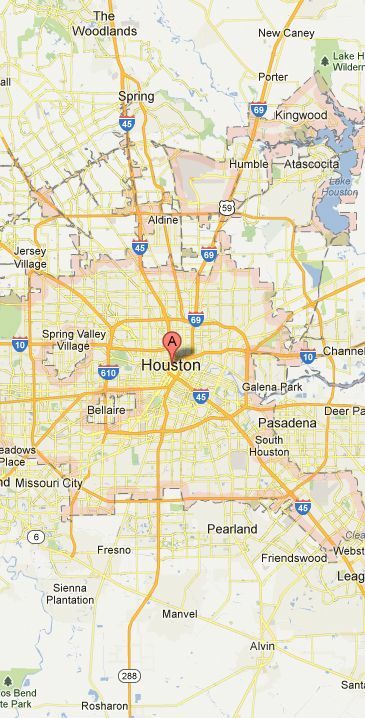 If you watch TV shows that talk about Houston, you’ll likely see the name of one of the dozens of suburbs pop up. The more, the merrier – the wealth of forklift job opportunities increases as the city becomes larger. A forklift job could be the way to go if you have the proper forklift certification, and Houston Forklift certification professionals are enjoying the growth of the city in the region. CertifyMe.net is the best place to get forklift certification in Houston. With our forklift training courses for any skill level, we’ll help you become OSHA compliant before you know it – and also give you the best chance to land great forklift jobs in Houston. Let’s look at all the benefits that come with Houston forklift certification, different forklift jobs in the city, and how CertifyMe.net can help you become the best forklift driver possible! Why Do I Need Houston, TX Forklift Certification? Although forklift drivers are in demand all throughout Houston for many projects, it’s important that operators are trained and have completed a forklift certification in Houston. Forklift training is not just a formality; it’s a necessity to protect your life on the job. Forklifts are responsible for fatal accidents every year, and it’s not the forklift’s fault. Operator error is the cause of the majority of forklift accidents. If you decide not to complete forklift certification Houston, then you’re only increasing your chances of being involved in a forklift accident that may lead to serious injury or worse. OSHA requires that employers ensure all operators are trained to operate forklifts, and if they’re caught with uncertified workers, they’ll be facing hefty fines and potential legalities. This is true for forklift jobs in Houston, the greater Harris County region, the state of Texas and across the country! That’s why most employers aren’t willing to hire untrained workers without Houston forklift certification. Get yours today and prepare yourself for the best future possible! CertifyMe.net has the OSHA knowledge and training resources to ensure you have the most up-to-date training possible. The result? Better job opportunities throughout Harris County, along with superior confidence on the job! That’s hard to put a price on – and speaking of prices, you’ll find the absolute best value with our Houston forklift certification classes. If you’re a Texan, you’re likely familiar with HEB – one of Texas’s largest and most recognizable grocery store chains. HEB is ever-expanding, currently opening up a chain of stores across the Lone Star state that compete with Wal-Mart and Target Supercenters. These new stores are a good place to look for employment if you have forklift training in Houston. The Indeed page has many forklift operator opportunities for those with certification. AMOT is another spot to watch. Especially if you have your forklift training in Houston. AMOT is one of the world’s leading makers of safety products mostly focusing on the oil, gas and transportation industries. They make everything from valves to motors, and, in some cases forklifts are used just to move one piece of equipment – so it’s important that employees have the right classes and forklift training. Houston is no exception – to move such heavy cargo it’s important to get your forklift certification. Houston based AMOT is always hiring, and with forklift certification in Houston from CertifyMe.net, you’ll stand out from other candidates! Meador places labor ready workers in various manufacturing and warehouse jobs throughout Houston for both temporary and full-time work if you have a forklift certification in Houston. If you’re looking to get into a company from the ground up and prove yourself, Meador could be a great solution! Meador is always looking for folks who have the right forklift training. Houston offers a ton of other temporary job prospects – but Meador is an excellent starting place. Before you check out Meador, you’ll want to visit CertifyMe.net. We have all the OSHA compliant forklift training courses you need to get the best jobs in Houston. In just 5 easy steps, you’re on your way to becoming OSHA compliant – and Houston employers are always looking for forklift operators with the most up-to-date qualifications! From construction companies, refineries, shipping companies, warehouses, and many other employers, Houston leads the way for well-paying, rewarding forklift jobs. Get your forklift training in Houston today with CertifyMe.net – it’s the best decision you can make for your Houston forklift career! What’s more, your Houston forklift certification is good throughout Texas and the United States. If you move, your forklift certification in Houston moves right with you! CertifyMe.net’s Houston forklift training costs just $59.95 per employee. We have separate training classes that cover Warehouse forklifts; Pallet jacks and order pickers; and Rough terrain forklifts. We also offer Trainer education to make one or more of your employees a trainer for amateur operators. Our learning modules are online and can be accessed wherever internet is available. Our program takes only about one hour to complete. You can print your certificate immediately after finishing the online course. Our forklift certification in Houston can open the door to new career opportunities and qualify you for higher paying jobs with better companies than untrained workers. You get the advantage of being prepared to protect your life along with a steady, financially rewarding career that you can take anywhere should you decide to move away from Houston. Take advantage of the CertifyMe.net difference today; Take a few minutes to fill out the application form on our website, and become qualified and OSHA-compliant for your new exciting forklift career with forklift certification Houston. If you have any questions about forklift certification in Houston, call CertifyMe.net today at 1-888-699-4800, or click here to get started! We’re here to help with your Houston forklift certification!